Eleven county chess associations - Derbyshire, Manchester Chess Federation (playing as Greater Manchester), Herefordshire, Leicestershire & Rutland, Lincolnshire, Northamptonshire, Nottinghamshire, Shropshire, Staffordshire, Warwickshire, and Worcestershire - currently form the MCCU. At times in the past Oxfordshire (currently without affiliation) and Huntingdonshire (now part of Cambridgeshire CA in the EACU) were members of the MCCU. The counties have agreed annual funds based on the level of chess activity in each county to pay for the competitions run by the MCCU. Each county association has four votes at the annual MCCU general meeting and may send more than one delegate or appoint a proxy vote. Most of the county associations forming the MCCU field teams in inter-county competitions organised by the MCCU. 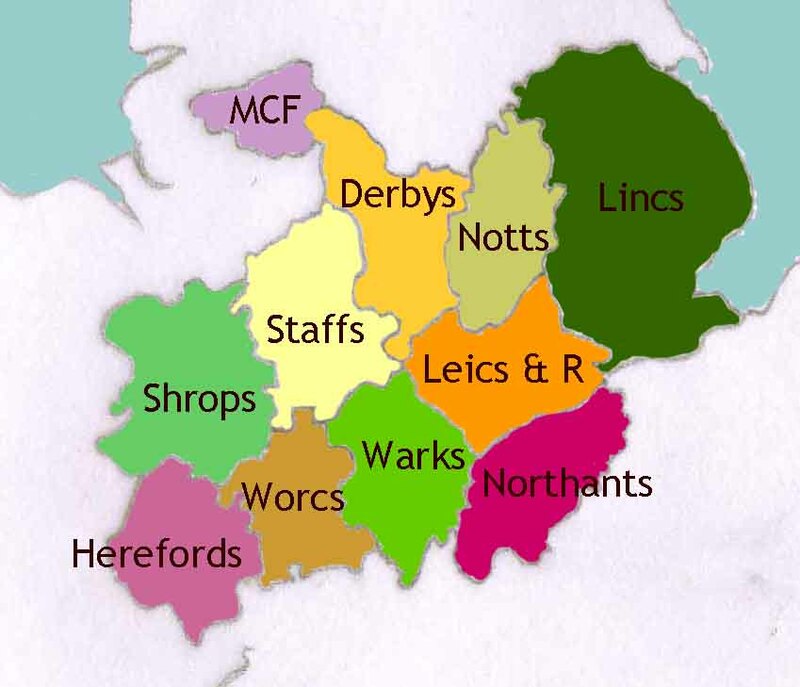 Warwickshire and Nottinghamshire have the greatest number of county teams in MCCU competitions while Herefordshire and Northamptonshire are the only ones that do not. If you are keen to organise a county team, please talk to your county secretary and the MCCU Chief Executive Officer. If you wish to contact a county chess association secretar, a delegate or officer to the Midlands Chess Counties Union, please contact Ray Dolan if the relevant details are not available from the relevant county association's website. General Secretary: Vacant, contact Jon below.